We're so happy to announce that we have successfully been open for one whole year. To celebrate, we are throwing a party and you're invited. 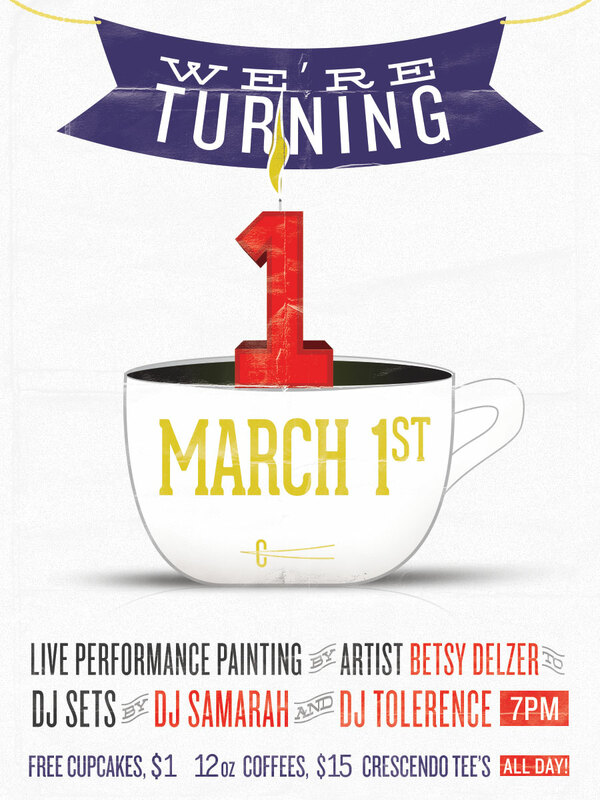 We are excited to be celebrating by hosting the beautiful and oh-so talented BETSY DELZER doing a live performance painting to the sounds of Madison's own Samarah and DJ Tolerance. Husband, Drummer, Designer, Photographer, Crescendo co-owner.